No worries mitsumadness. Yeah, your right, Silly. Nevermind. Bigger and better things, we say! You might see Motul back on the shelves at Repco sooner than first thought. A couple of new products are on their way, one being a 5L for under $40! AND, it's looking like it will be the best in that price category. More on that when it's released. 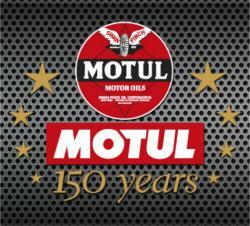 Ask 'When is the new Motul oil coming?' the next time you're in the shop looking for oil! WOY, as requested: http://www.hardtuned.net/forums/index.php?showtopic=517259 Hoping that is close to what you were after. You might still have some questions. Post 'em up in that thread and we'll be sure to answer them in good time. No, no rebuttal. It might be all true what he was saying and if you owned a top fuel dragster, it might be just the right stuff. The best oil is not about how well each brand puts up an arguement as to why their product is better. It all comes down to what you, the consumer, wants and what you need it for. Maybe Motul is not for you, and then again, maybe it is. Who are we to say! Sure thing. Ah, yes, the Koval EVO, Nulon sponsored test. KW figures can be improved slightly with a better oil than what you started with. It does this by reducing drag and friction allowing components to move more freely. Improved power shouldn't be what is solely desired as some oils drop in viscosity as the oil temp rises, where others don't drop as much. One thing to note is that most dyno operators will tell you power figures will change like that in the video without changing the oil. It is just how cars behave on dynos, temps change, tyre pressures change, oil temps change. There are a number of factors. Anyway,check this out - There's a few different languages spoken in that video, but I'm sure you get the idea. Where did you come across the comment of synthetics not recommended for pre-1995? Mazda won the SPA 24hr in 1981 using Motul synthetic oil... Here's another famous car from the early 80's. No synthetic oils in pre '95?? not true! But you do have to pick your oil to suit your needs. Older engines have bigger gaps between their bearings and need a thicker oil to take up that gap, newer engines are made really well and have small gaps between the bearings, which a thinner oil can be used. Mineral, semi or full synthetic, up to you. Just get the right viscosity. Then again, using a full synthetic in an old engine is like giving strawberries to a pig so keep it real while you're at it. Hope that helps make a bit more sense of it all. Heads up to anyone who prefers Repco over Autobarn! Repco has decided to take on Gulf Western oil and with the new kids on the block, someone had to go. Motul is off the shelves for now but still being stocked at the DC's and some stores and the entire range is available for order. So from now on, when you go into a Repco store, you gotta ask where is the Motul oils! Sorta like going into a video store and asking whats out back.... or a tobaconist and asking whats out back... or a car dealership and asking whats out back... All the best stuff is kept out back (Or under the counter depending on where you go)! It has been mentioned on a few different forums that Motul uses esters from Bamboo... Just to clear it up. Its Coconut, not Bamboo. Who here likes the smell of 300V? Hi TheApothecary, Some info to take into consideration; Every lubricant has a range of additives in it, like detergents and friction modifiers. Inidividually packaged additives assist only when the lubricant you are using lacks the qualities you need. Motul's 300V Factory Line 4T for motorcycles has an additive for wet clutches, which shouldn't be used in cars. Vice versa, don't use car 300V in a bike as it doesn't have the additives you need. Picking an oil with the additive package required, or for the purpose required is better than using seperate additives. Pro-Ma might work wonders for someone using K-mart oil in an old red motor, but not if you are using Motul 6100 in an RB. An oil with the additive package designed for that application doesn't need further additives.